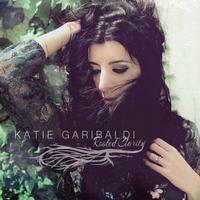 This new disc from Katie Garibaldi isn’t a big surprise. That said, it’s a solid set of five songs. I’d say that if any of the tunes is weaker than the rest, it would be opener. Still, that one just tends to feel a bit cold. It’s not lacking beyond that general feeling. This is a good disc no matter how you slice, it particularly if you enjoy country tinged folk music. The vocals have an almost classical music seriousness to them. The music is more purely folk based. This is pretty and involved, but it feels a bit sterile. In terms of musical style this isn’t a big change. Yes, there is some country added to the mix, but it’s folk music more than it is anything else. There is a lot more passion and feeling in this one, though. That makes it better than the opener in my book. This is a bit more delicate. It’s very evocative and powerful, though. It’s slow moving, but the arrangement gets some great layers built into it. It’s actually one of the strongest pieces here. This is another highlight of the set. 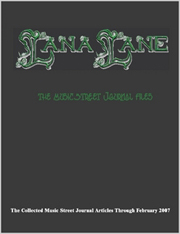 It’s energetic, but still folk with country elements. It’s a strong tune that really pulls the listener in. There is a bit of that classical edge (from the opener) on this. A lot of that comes from the strings. This is a pretty and emotional piece of music, though. It’s another standout cut.